The great Magic Johnson, who led Michigan State University to the NCAA Basketball National Championship on his way to becoming one of the greatest players in the history of the NBA, has called on his Alma Mater to be held accountable for the criminal behavior of MSU Dr. Larry Nassar. As a Michigander who married an MSU Spartan, I am horrified and heartbroken over the abuse that hundreds of young, female athletes suffered -- for decades -- and the dozens of adults who refused to believe them or ignored their cries for help. 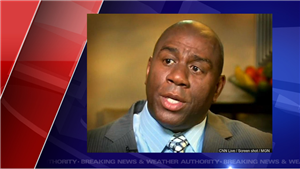 Here's more on Magic Johnson's comments.